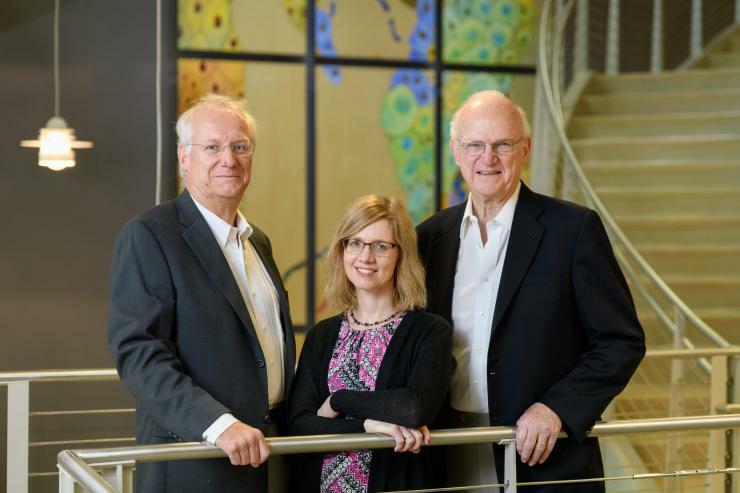 The $2 million award from the U.S. Food and Drug Administration (FDA) focuses on finding ways to apply continuous manufacturing methods to beta-lactam antibiotics, a class of drugs that includes widely-used antibiotics such as amoxicillin. “These infection-fighting antibiotics are critically important for the healthcare system, and our goal is to make these medications easier and more cost-effective to produce,” said Andreas Bommarius, a professor in the School of Chemical and Biomolecular Engineering, one of the researchers leading the project. Georgia Tech was one of three research institutions chosen by the FDA to explore how to translate manufacturing techniques already in use in food and chemical production to making certain antibiotics that now are often imported into the United States. The Georgia Tech team will focus on the early stages of drug synthesis, while Massachusetts Institute of Technology and Rutgers University will address later stages of the manufacturing process. “Continuous manufacturing utilizes technologies that offer clear benefits for both patients and industry,” FDA Commissioner Scott Gottlieb said when announcing the awards. Traditionally, the pharmaceutical industry has relied on batch manufacturing for medicine production. With continuous manufacturing, costs associated with starting up and shutting down production are reduced due to the continuous nature of the manufacturing approach. Other potential advantages includes faster ramp-up production during times of shortages and more consistent product quality. During the project, researchers at Georgia Tech will develop a process to continuously synthesize, crystalize and isolate both cephalexin and amoxicillin, which are examples of two major types of beta-lactam antibiotics. “Our design is intended to enable beta-lactam active pharmaceutical ingredient production in dedicated, compact, less capital-intensive plants, which in turn is envisioned to lead to better access to medicines for patients and ultimately to less expensive drugs,” Bommarius said. The new FDA-backed project is among several initiatives at Georgia Tech involving research into ways of bringing down the cost of producing medications. Other projects included a federally-backed initiative to advance medications made from cells, such as vaccines and autoimmune drugs, as well as therapies using living cells to treat a range of conditions. A separate initiative is aimed at advancing technologies for manufacturing therapeutic cells. Researchers at Georgia Tech were also recently awarded a three-year, $1.8 million grant from the U.S. Food and Drug Administration to develop a scalable manufacturing system for cord-tissue derived cells.